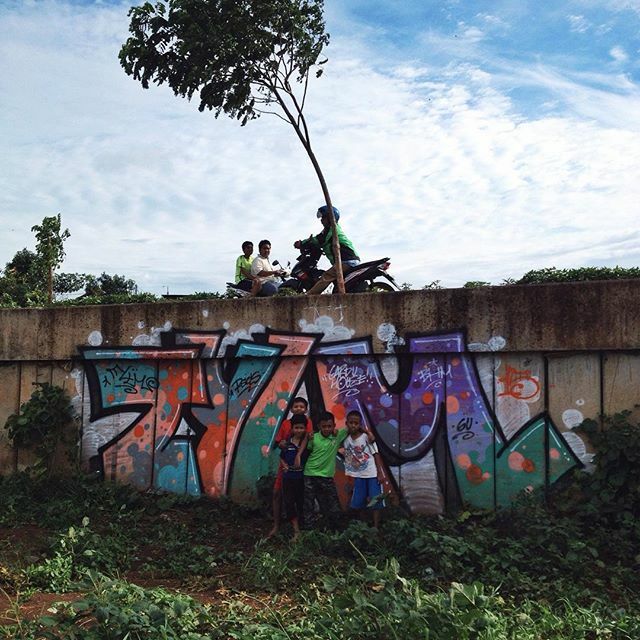 Tuyuloveme is indonesian Graffiti writer and artist that began his artistic painting on the streets since 2006. Although not a native of Yogyakarta, he has been a resident for couple of years as a base for him to do creative work while working with his national and international network. 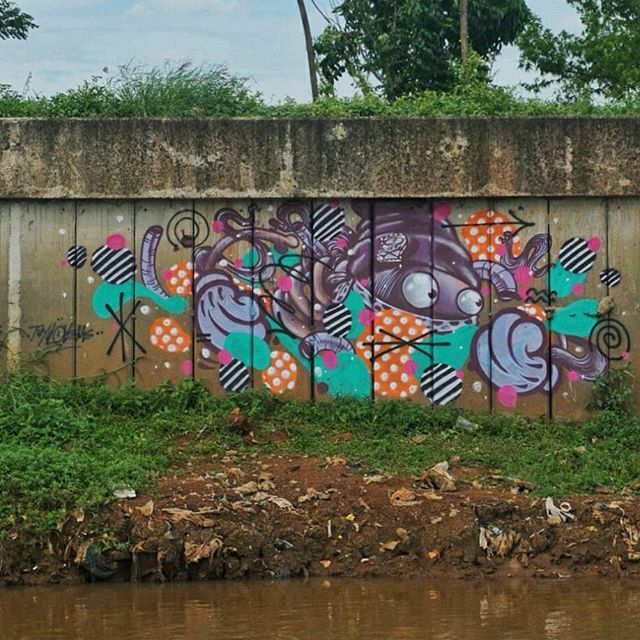 Switching from the traditional graffiti aesthetics of letters, Tuyuloveme started painting character in 2009. Though versatile in his techniques, tuyuloveme has been painting his unique characters religiously. His characters represent his alter ego, a self portrait of sorts, popping up on walls and street corners all over cities in indonesia and as far and wide as Singapore, Melbourne, Bangkok, Moscow, manila. "Gondrong" - Local expression for long-haired. Slayer. Beanies; His visual style is described as juxtaposition of inspired randomness and organised chaotic visual expulsion - a contrast his shy personality as a person. His career has been nourished and influenced by extensive travel and vast network and ability to work with all walks of people. In ten years of practice, he become recognized graffiti artist and has shown in countless national and international events and exhibitions with solo exhibitions in 2014, 2015, 2017, 2018; as well as contributed greatly to defend graffiti as an artistic discipline. Never lacking in inspiration, this young talented artist also contributed on several social project across indonesia for Public art space with his fun, strong harmonised colours and shapes. Tuyuloveme always challenges himself to develop his skill and obtain experience that will improve and enrich his artwork. He love to travel the world to meet and learn from interaction and collaboration with other culture.